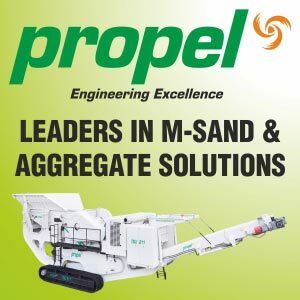 Driven by rising demand of equipments for tunneling construction in India, featuring varied design and engineering requirements, equipment manufacturers are offering the required solutions dovetailed by requisite product support services. P.P. Basistha explores the advancements. Tunneling construction gained rapid momentum in India during the past decade. Metro railway projects across the country widely showcase varied technological requirements for tunneling. DMRC has always been a forerunner in adaption of advanced tunneling construction methodologies based on project requirements. Kolkata Metro Railway's underwater first metro tunnel will also add new dimensions for tunneling construction. Another very significant new technological dimension in tunnel construction in India will soon be exhibited in a recently awarded INR 2523 crores contract to Hindustan Construction Company and MMS joint venture of Russia by Mumbai Metro rail Corporation Limited (MMRCL). The project will involve construction of 4,072 meter corridor of the underground metro line including four underground stations at Chhatrapati Shivaji Terminus, Kalbadevi, Goregaon and Grant Road and twin bored tunnels involving total length of 3,115 m. This project, targeted for completion across a span of 55 months, is a part of the Line-3 of Mumbai Metro from Colaba to SEEPZ. Following completion, the 33.5 km long line with 26 underground and one at-grade stations will be the first underground metro line in Mumbai. Other important infrastructure projects like 124 km Jammu-Udhampur-Katra-Qazigund Baramulla railway line and 43 kms AMR water tunnel in Andhra Pradesh have also gone on to feature utilization of advanced tunneling construction methods and technologies. Evolution of newer construction methods and supporting technological requirements has extensively resulted towards creation of newer business opportunities for the tunneling machineries manufacturers in India. There are various methods of tunneling. The selection of methods depends upon the size of the bore, the conditions of the ground, the equipment available, and the extent to which timbering is required. Above all, costs and project completion schedule are also major determinants towards selection of the methods and technology. Not to mention, emerging construction requirements, precisely those taking place in urban areas with high population and vehicular concentration is an added significant yardstick behind the selection process. The most modern methods being adapted in India for tunneling is Tunnel Boring Machines (TBM). The other method with supporting technologies being used in different situations include drilling and blasting, Cut and cover method, forepoling, linear plate method, New Austrian Tunneling Method (NATM), Belgian methods, shield tunneling etc.